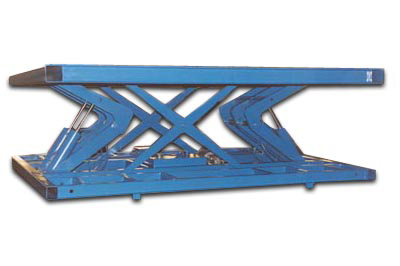 Scissor Lift Tables by Allegheny Material Handling, Inc.
Our line of Allegheny Lift Tables include both "scissor" and "direct lift" designs to meet a wide range of handling needs of our customers. 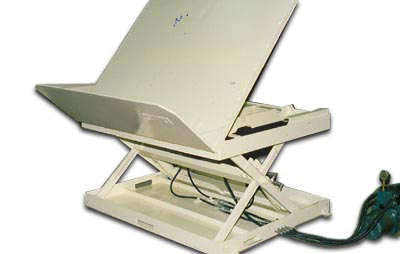 As with all Allegheny products, our Lift Tables are designed to meet the specific requirements of each application. Our scissor lift tables have collapsed heights ranging from 8" to 24" depending on the size and load capacity requirements. 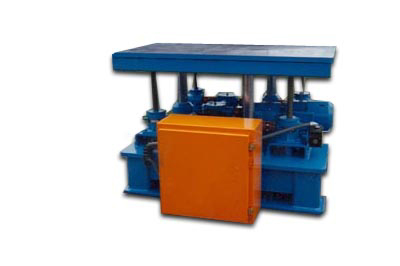 Depending of the lift requirements of the unit, the table would be equipped with a single, double or triple arm arrangement. Allegheny direct lift tables are used in applications where precise positioning and maximum load stability are required. 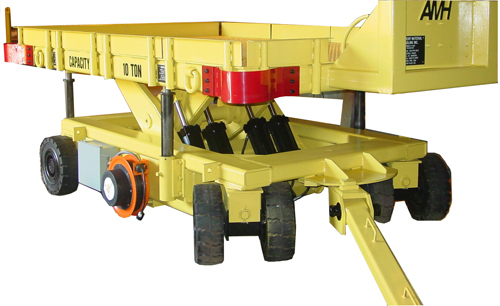 These units are equipped with a "ball screw" lift arrangement mounted at the 4 corners of the deck. 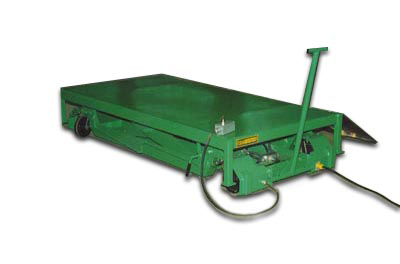 Allegheny lift tables are available with either hydraulic, electric or air power supply configurations. 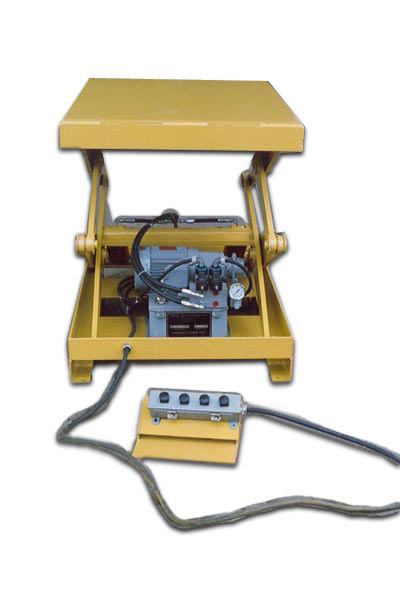 These units are equipped with manually operated push button controls, either hand held or foot operated. In addition, semi-automatic or fully automatic control systems are available that can be fully integrated into a larger control system. All control systems feature Allen-Bradley, GE or Square "D" components.